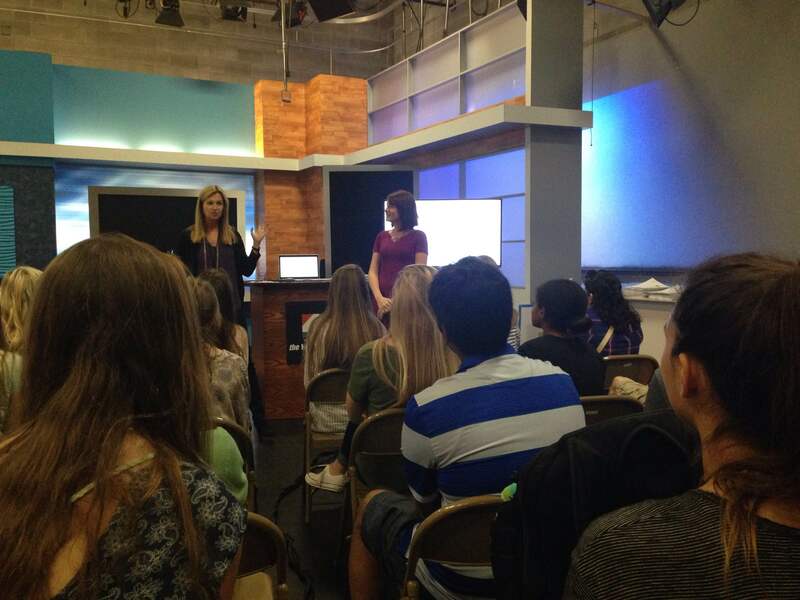 The Communications Academy at Nease allows students to explore the fields of television production and digital design. 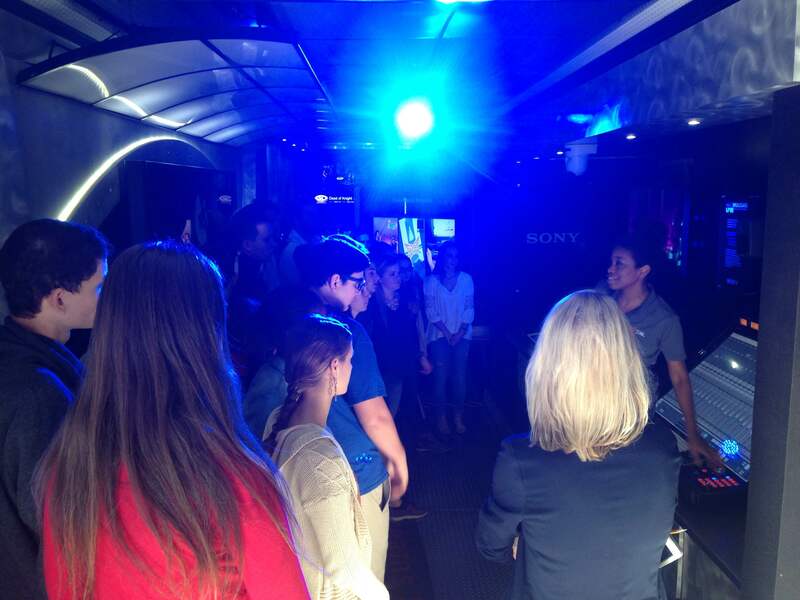 Through hands-on experience and unique field trip opportunities, students gain real-world skills as they prepare for college and careers. Create graphic design projects for print and electronic distribution using the Adobe Creative Suite of software. Students learn the use of these programs for digital bitmap and vector based images, animation and web page authoring. 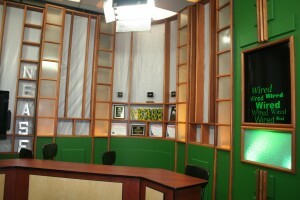 The Wired news set. 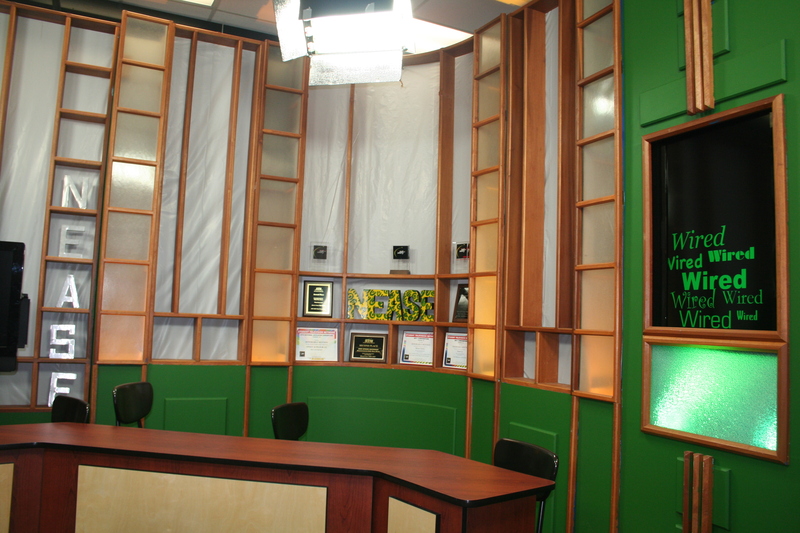 Wired was named as the Southeastern United State’s Best Daily Taped Newscast in 2014-15 and 2016-17, by the Student Television Network. 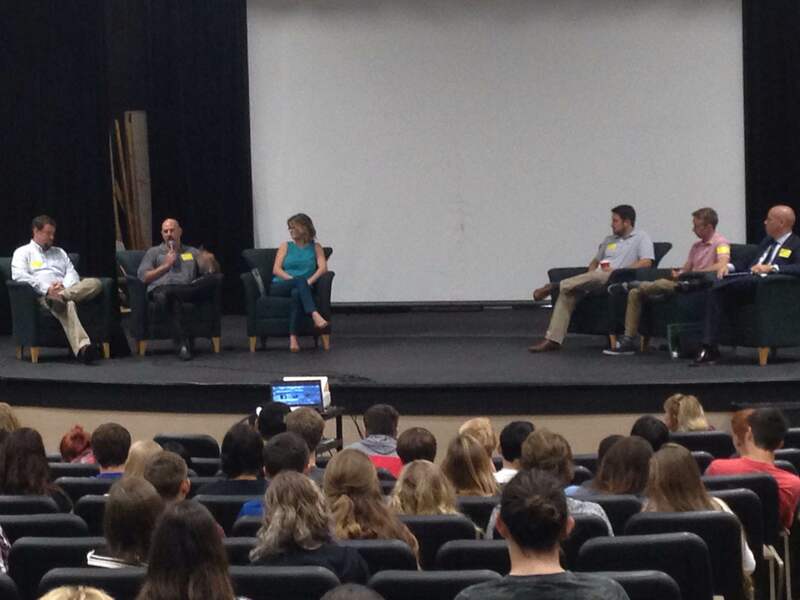 Our Academy is proud to have highly-qualified instructors who have career experience from the fields they teach. These teachers integrate their working knowledge of the industry into the classroom, giving students an excellent foundation for the future. The cornerstone of career education is work-based learning and our Academy is fortunate to partner with PGA Tour Entertainment, WJXT Channel 4, Leonards’ Studios, Flagler College, St. Johns River State College and other leaders in the communications industry. These generous companies provide our program with industry guidance as well as opportunities for internships, job-shadowing, field trips, mentoring, guest speakers and other special events. Our success depends on partnerships with local businesses along with community support. Please contact us for more information. 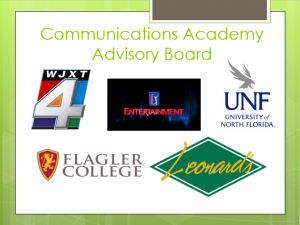 We will prepare and inspire students for success in college and career by providing relevant knowledge of necessary skills for, and real-world exposure to, the communications industry.